Last year, much of the conversation around artificial intelligence was dominated by headlines about the shortage of “AI talent,” how tech giants are struggling to hire AI engineers, and why this has led to rising salaries — up to $500k per year — and fierce competition among companies like Amazon, Google and Facebook. As AI gets increasing attention and investment — somewhere between $26 billion and $39 billion in 2016 according to McKinsey — from businesses across verticals, the most likely scenario appears to be a state of perpetual war among big tech companies over a few thousand specialists — and a bulk of the companies falling behind on AI innovation. While some tactics and tricks have been pushed forward as to what can be done to win this AI talent war, I haven’t seen that many examples of dynamic talent pipeline systems that would bring a sustainable solution to this alarming situation. We’re trying to change that. Most companies, when hiring AI talent, consider institutions like Stanford, MIT, Carnegie Mellon or engineers with extensive industry experience who could bring the skills necessary to tackle serious AI problems. What they fail to recognize is that such talent can also be found in the places and communities that actually need development and innovation the most. While those may be far removed from famed institutions and tech centers, there’s a generation of students and engineers hungry for learning and developing AI systems. I have seen it firsthand in the country I grew up in: Nepal. 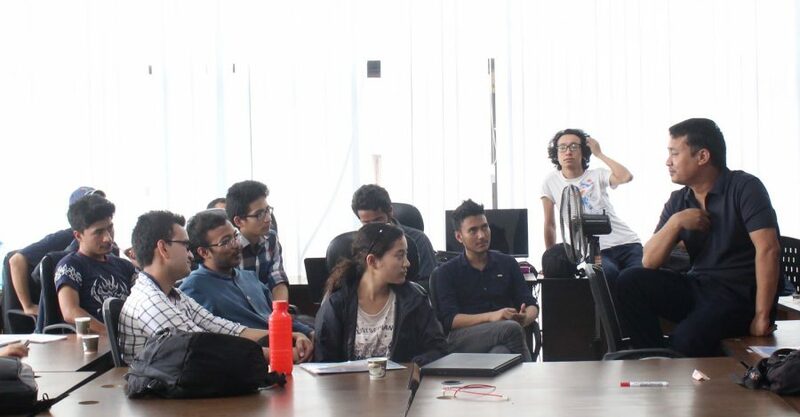 When I started Fusemachines five years ago, my goal was to find and cultivate talent in Nepal and give Nepali students access to education and the opportunity to learn the concepts and methods of AI and machine learning. With the ongoing talent crisis in this space, our mission has turned out to be much bigger than I originally planned. Not only are we able to provide highly sought-after professionals to organizations that recognize the potential of AI. We also participate in the democratization of AI talent across the world, in countries like Nepal, Dominican Republic, Rwanda, that are far removed from common tech hubs and less likely to take part in the AI revolution. We believe that with adequate training, students from those places will thrive as well as any engineering students at the elite universities in the western world. There is talent around the world, and we neglect it to our detriment. This is why we put in place the AI Fellowship in three countries now: to provide free advanced courses in programming, machine learning, robotics and NLP (Natural Language Processing) to students who would not otherwise receive it, either because they lack the needed resources or live far from technology centers. Our use of Columbia University’s Micromasters in AI has helped Fusemachines redefine its AI fellowship program as students from far-flung parts of the world get to learn from some leading professors in the field. As a professor of Computer Science myself, I see it as a truly exciting venture for the future of education in artificial intelligence. It’s about changing assumptions about who can be trained to do cutting-edge technology. This is also about putting knowledge in the hands of those who will research and develop applications of Artificial Intelligence to solve problems they see in their own country. Relying on that incredible talent source, we are taking knowledge-sharing to another level by providing AI engineers — many of them trained through the fellowship — to organizations that recognize the potential of AI but struggle to find specialized talent. I hope our story will inspire you to change your look on things, and help us to democratize access to AI.